Started back in 2005 for a Halloween game I was planning at the time (hence the name Halley), it went through many re-writes until it arrived at its current incarnation. Written in C++11, it supports Windows, Linux, Mac OS X and Android (iOS too, as soon as Clang supports C++11 lambdas! 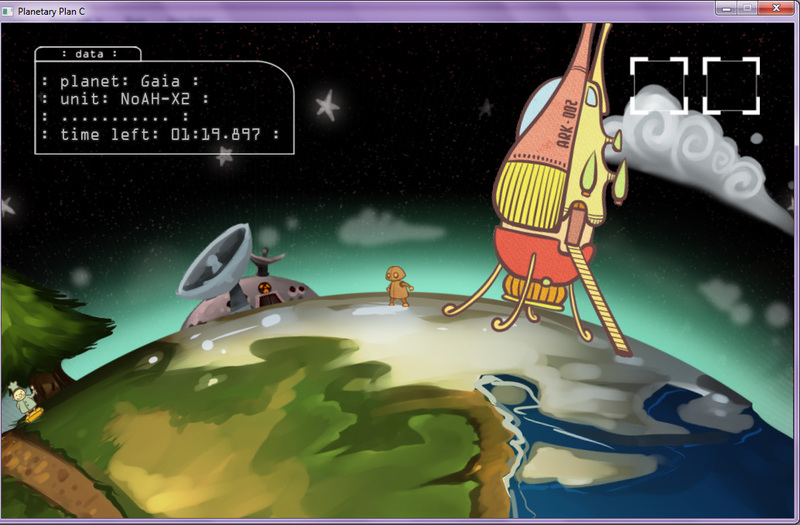 ), and is based on SDL, OpenGL and OpenAL, for a very rich visual and aural experience. 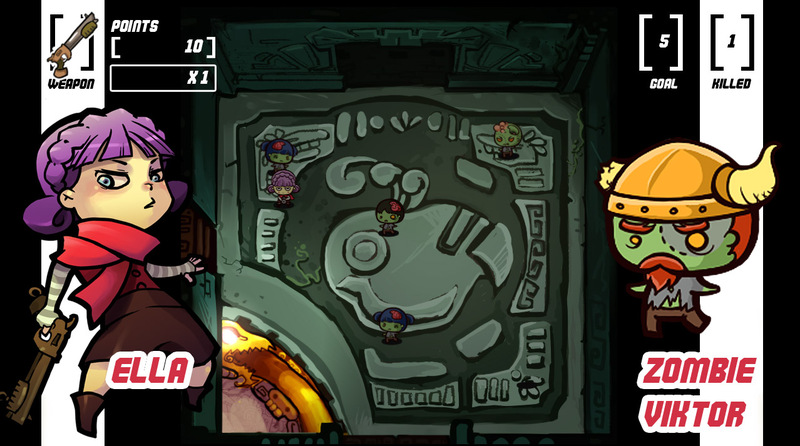 It’s designed for high-performance 2D games, taking advantage of the wonderful artwork created by the incredible artists of Studio MiniBoss. It’s been used in Planetary Plan C, Down Goes the Phoenix, TRAPPED! 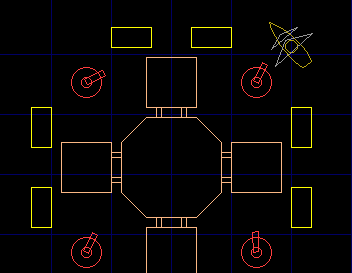 In the Chamber of Eternal Darkness, and MiniBoss’s flagship game, Talbot’s Odyssey. Plans to release the engine to the public are currently pending. Programming for the whole remake of the game, and for the engine. Part of game design team. 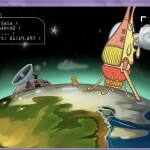 Talbot’s Odyssey is the charming tale of a little yellow demon who could fly, and of the unusual quest he gets sent on. 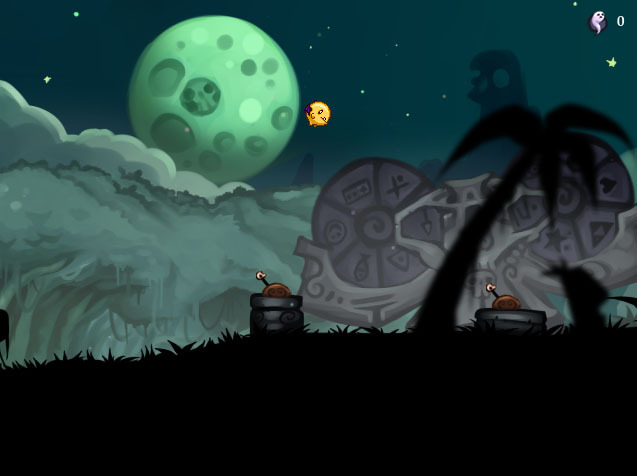 A very different platformer, where the focus is on exploration rather than on conflict, and on paying attention more than having extreme dexterity. 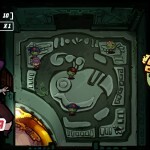 A custom-tailored soundtrack and unique hand-drawn levels makes this for a beautiful and immersive experience. Winner of many prizes in Brazil (#1 in EGames 2011, #1 Jury’s Vote in SBGames 2011, Best Indie in Game Music Brasil), it was originally developed by Santo and Amora in Scirra Construct. 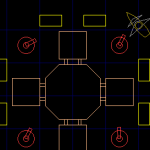 Once the limitations of the engine threatened to overwhelm the project, I joined it and rewrote the game from scratch in Halley. As we developed it, we also made several tweaks and improvements over the original version. 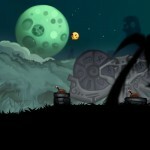 The project is currently underway and has an estimated release date somewhere in 2012 for a number of different platforms. 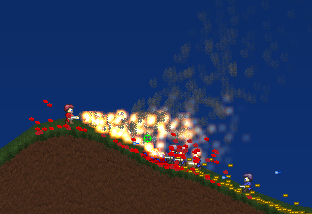 This game was written in C++11 in the 48 hours (actually less, we started late! ), whose theme was the image of Ouroboros. 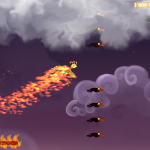 Playing as a Phoenix trying to escape from the endless hordes of foes wanting to take it down, the player must blast his way through increasingly difficult waves of enemies, while trying to keep his flame alive and prevent the fog from covering his vision. To his aid is his power of reincarnation, which allows him to give himself temporary relief from the pressure – and a score multiplier – at the cost of his power. 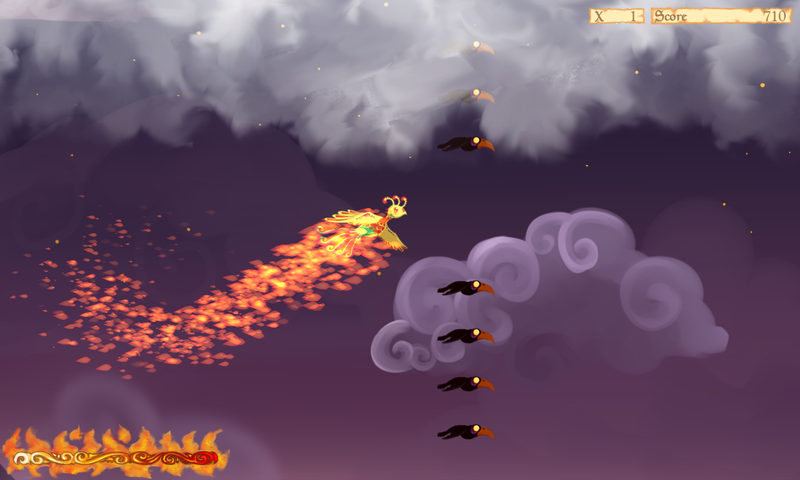 This game was written in C++11 in the 48 hours of SPJam 2011, whose themes were “Fire”, “Fog” and “Infinity”. The Sun of your solar system has began to expand, and will soon engulf all of its planets, extinguishing all life in them. Plans A and B have failed – Plan C is to quickly salvage whatever you can rescue from the planets and run away, hoping that it will be enough to let your civilization live on. 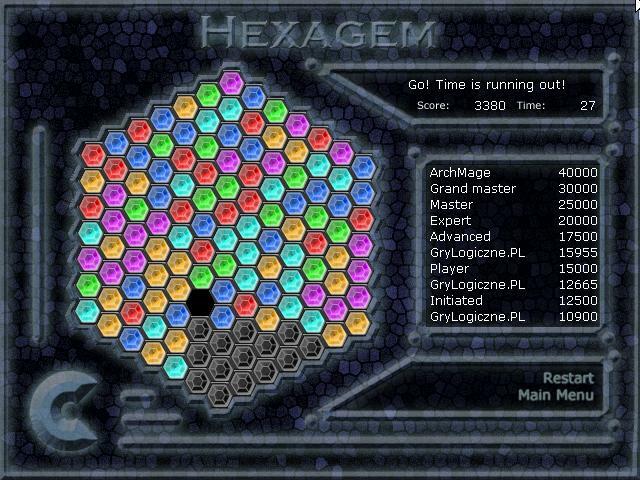 This game was written in C++ in 72 hours for the Allegro SpeedHack 2009 competition, whose rules were “Fantastically Mundane”, “Dynamic Environment”, “Zoom, Zoom!”, “Unlockable Content” and “Post-Mortem”. 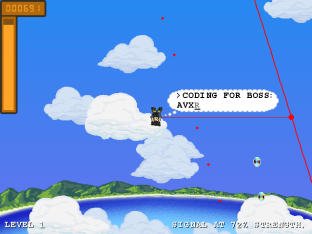 The game was written in 72 hours in C++ for the Allegro SpeedHack 2007 competition, whose rules were “Evilness”, “Radius of Influence”, “Get a Grip!”, “Ratio, Respect!”, “Reverse Stereotypes” and “Dialogue”. 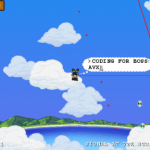 Game design, programming, and visuals. 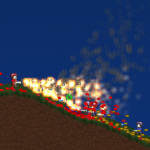 Written in C++ in 72 hours for the SpeedHack 2005 competition, whose rules were “Survival”, “Make it a Classic”, “Randomness”, “Dichotomy” and “World Map”. “Mentor” programmer for codnik, who was learning C++ and Allegro at the time, and game design. The forces of the MAFIAA have gathered all torrents in their forts. Internet is in despair… but as a pirate, you rise to their challenge! 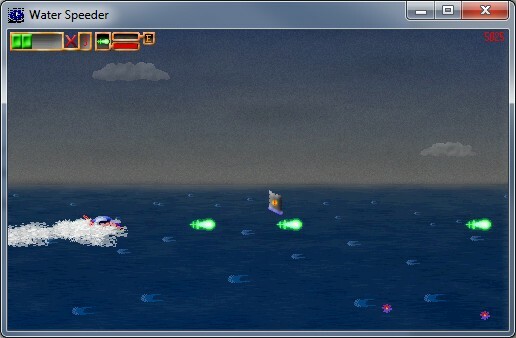 Playing as a cyber pirate ship, the player maneuvres around the enemy forts, dodging their cannon balls and trying to get some of his own, and ultimately release the torrents trapped within. My first “speed programming” game. 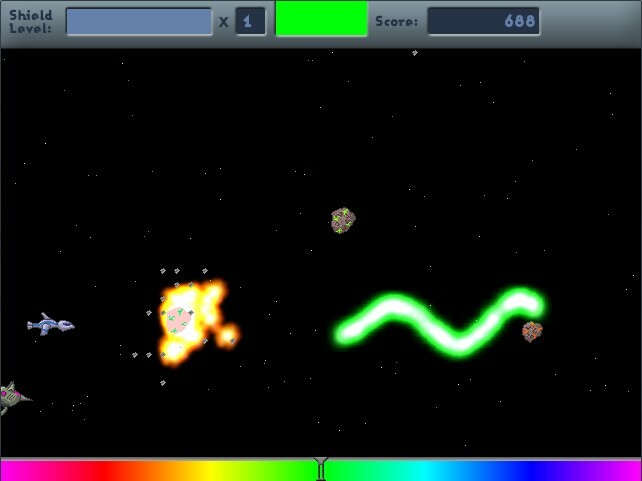 It’s an arcade shooter with a “Lord of the Rings in space” theme (following the competition rules that it should be a parody). 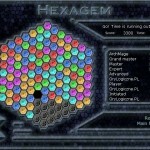 The game was unfortunately the victim of major game design issues, and is extremely difficult. Worked on it from 2005 to 2008 as lead programmer. Aegisub is an advanced subtitles editor created by me and Neils Martin Hansen, and together updated by many volunteer programmers. Supporting many advanced features such as visual typesetting, complex styling of subtitles and karaoke, it eventually largely replaced older software such as the venerable Substation Alpha, as well as Medusa Subtitling Station and Sabbu. Today, it is the de facto subtitles editor on the fansubbing community, and has also seen significant professional use. Writen in C++ (with wxWidgets) and licensed under the 3-clause BSD, Aegisub is Free and Open Source Software, and is available for Windows, Linux, OS X and FreeBSD. 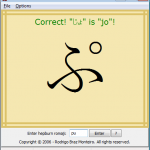 KanaMemo is a tool designed for teaching you the two Japanese syllabaries, Hiragana and Katakana, in a progressive and interactive way. It uses an adaptive algorithm that slowly introduces you new characters and identifies your areas of trouble so you can focus on them. It has received overwhelmingly positive reviews from its users, who describe it as a very efficient way of learning those. 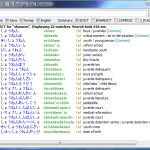 A systray-based Japanese<->English dictionary program based on the popular EDICT dictionary database file. Includes full support for romanization and organization of results by relevance. 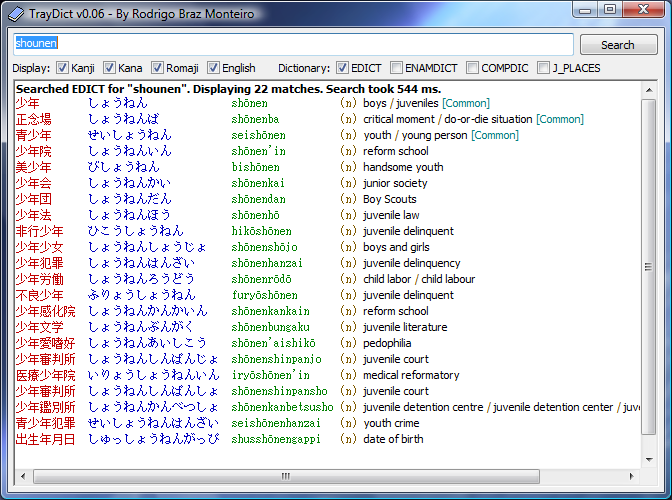 Written as part of my quest to learn Japanese, when I was dissatisfied with the available dictionary program options. 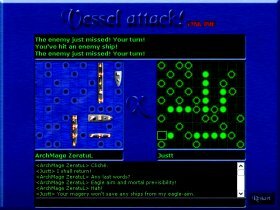 A “matching pieces” puzzle game, which was surprisingly popular at the time, and got featured in several freeware game magazines. Activision also contacted me about publishing it in a freeware game collection of their own, but unfortunately, I was only 15 at the time, leading to legal complications. Developed in Multimedia Fusion in 2001 (in about a week). 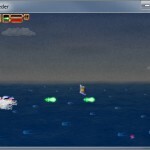 A simple 2-player clone of “Battleship”, playable over the Internet. Developed in Corel Click & Create in 2001. 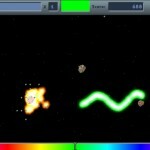 A simple arcade shooter developed for a Vitalize! Arcade competition. Developed in Corel Click & Create in 2000. Your articles are excellent. Thank you so much for your effort as this stuff will help me a lot.